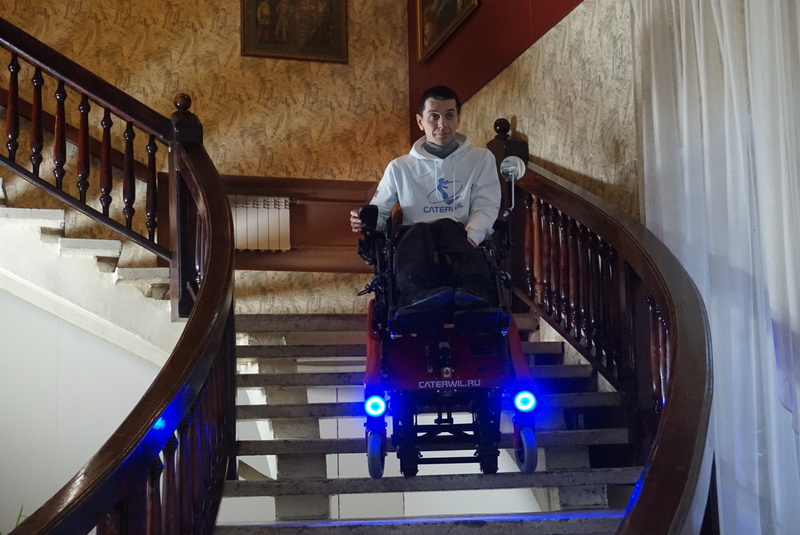 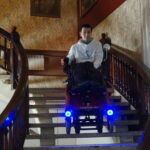 Caterwil is stair climbing wheelchair that you can buy now. 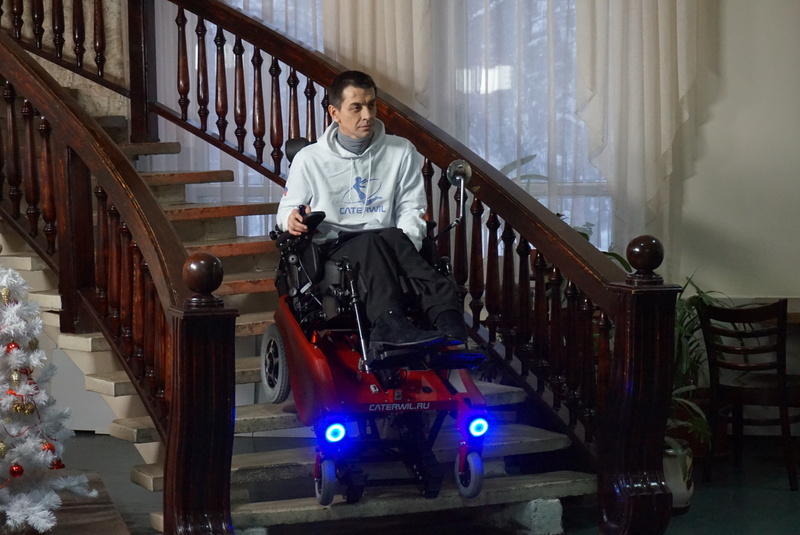 It’s a perfect solution where disabled person can climb stairs more than 20 cm with slope more than 40 degrees without any help. 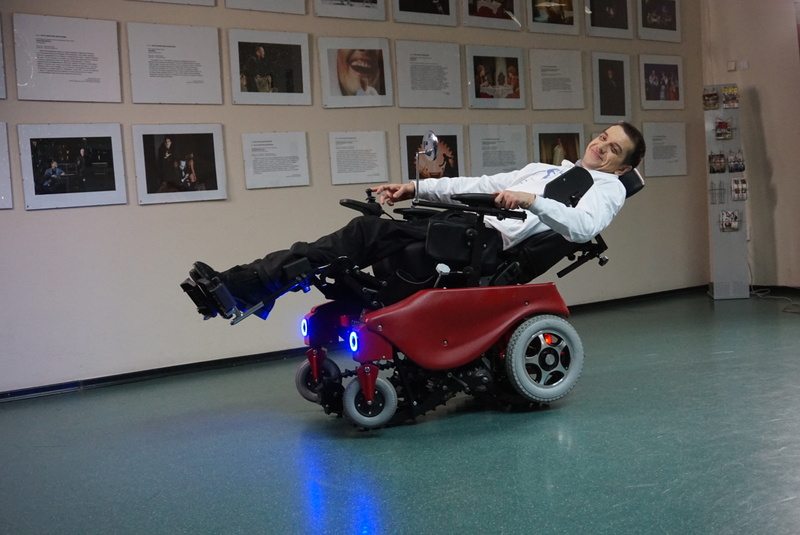 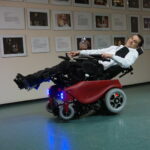 Caterwil is an electrical powered wheelchair that has wheel and track platforms. 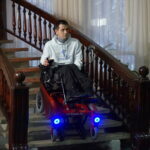 Wheel platform is used for moving on a smooth surface. 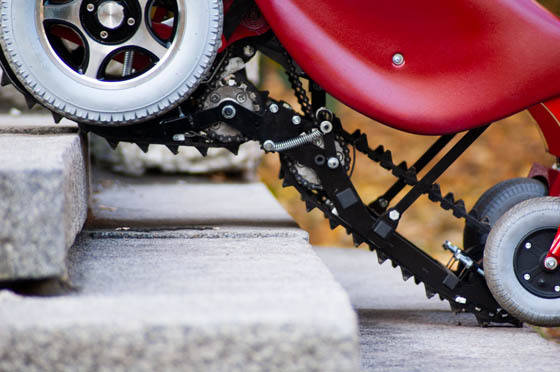 Track platform is needed for overcoming stairs, curbs and other obstacles. 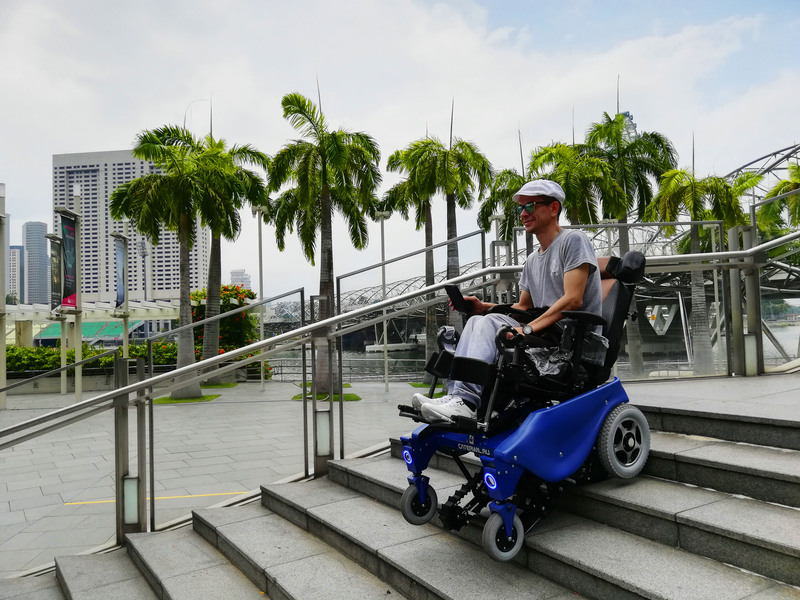 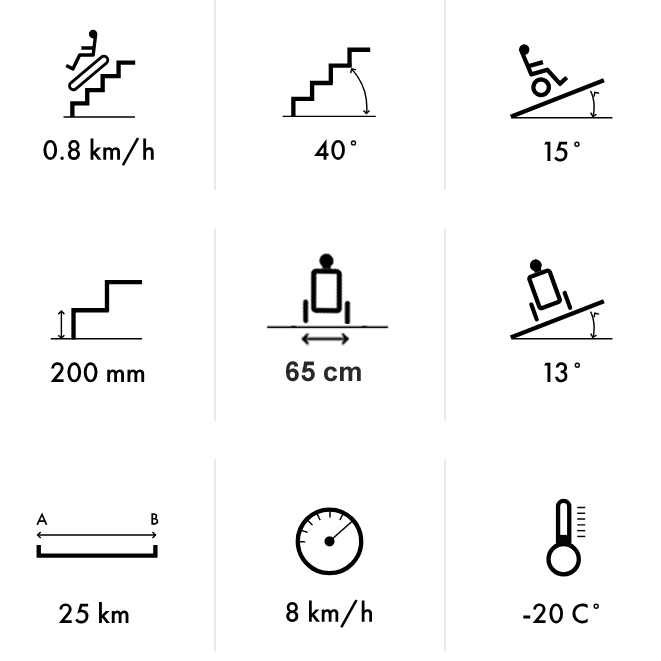 Gyroscope system controls the safety when climbing stairs, special designed rubber tracks have reliable grip even on rounded steps.